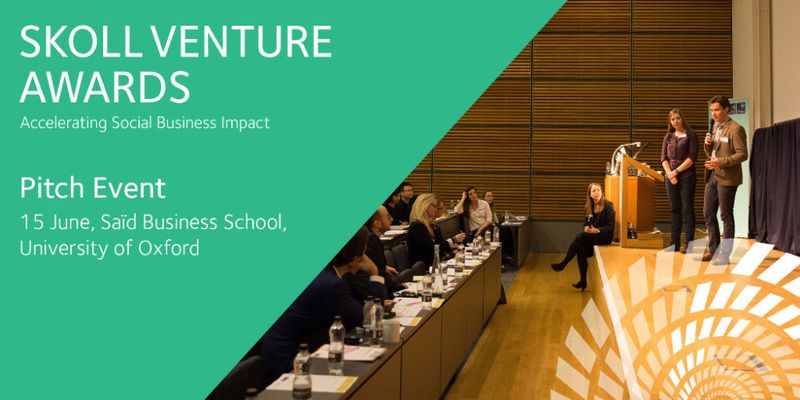 The Skoll Centre is pleased to announce the finalists of this year’s Skoll Venture Awards. Each venture will pitch at the final on Thursday, 15 June. VRTU (pronounced virtue) delivers simulated time-travel therapy to dementia patients through virtual reality content. While dementia is widely speculated as incurable, the mission of VRTU is to improve the quality of life of sufferers by triggering intact long-term memories to enhance cognitive, physical, and emotional capabilities. Redbird Health Tech will operate in Ghana to offer a full suite of rapid diagnostic tests (pregnancy, malaria, diabetes, UTI, anaemia, cholesterol) via pharmacies so that patients have a more convenient and broader range of care than currently experienced. They intend to circumvent the existing supply chain and import directly from rapid diagnostic testing (RDT) manufacturers. PowerMarket simplifies the process (feasibility through construction) of switching to solar, through an online, machine learning enabled platform which overlays solar potential, local regulatory benefits, and cost inputs from local suppliers and financiers. Please join us for the Skoll Venture Awards Pitch Event on Thursday, 15 June at Oxford’s Saïd Business School. Successful finalists will be awarded up to £20,000 in grant funding from the Skoll Centre. The winner/s will be announced on the night, followed by a networking drinks reception.